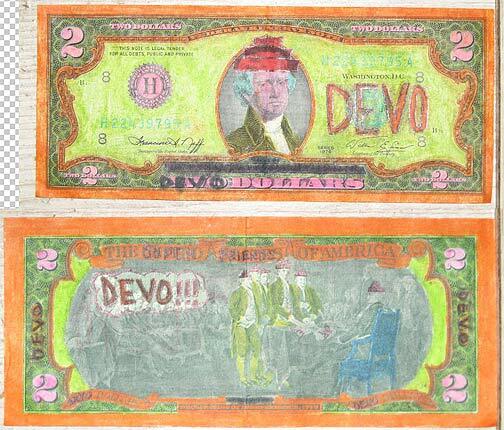 "I'm 19 now, but I remember drawing on that $2 bill during my junior year of High School. I colored the Energy Domes on Jefferson, and the domes on the declaration side, but that's it. Another DEVO fan must have done the rest."